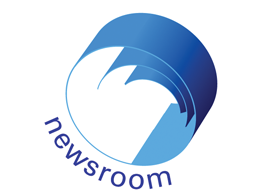 NewsRoom is a modular platform for television broadcast news capture, automatic segmentation, indexing and browsing. The core of NewsRoom is its automatic story segmentation software. Its modular architecture allows to integrate various segmentation algorithms, organised in modules, such as a video scene detection software, lexical analysis algorithms, temporal feature analysis and high-level object-based audio/video feature extraction, such as optical character recognition and logotype detection. NewsRoom also provides a web-based interface for news browsing and searching, and lets users modify story segmentation, giving to NewsRoom a community-based "wiki" flavour.